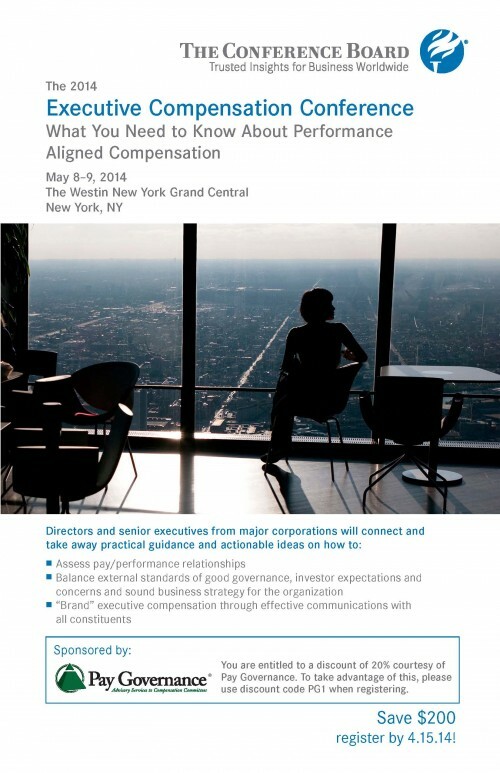 Pay Governance will be a sponsor at the 2014 Executive Compensation Conference to be held at the Westin New York Grand Central in New York, NY on May 8 and 9, 2014. John England will be a moderator of a key session at this event. Please click on the brochure below to see how you can save 20% by registering early with our Pay Governance discount. You can also click here to be linked to the Conference Board website to register.